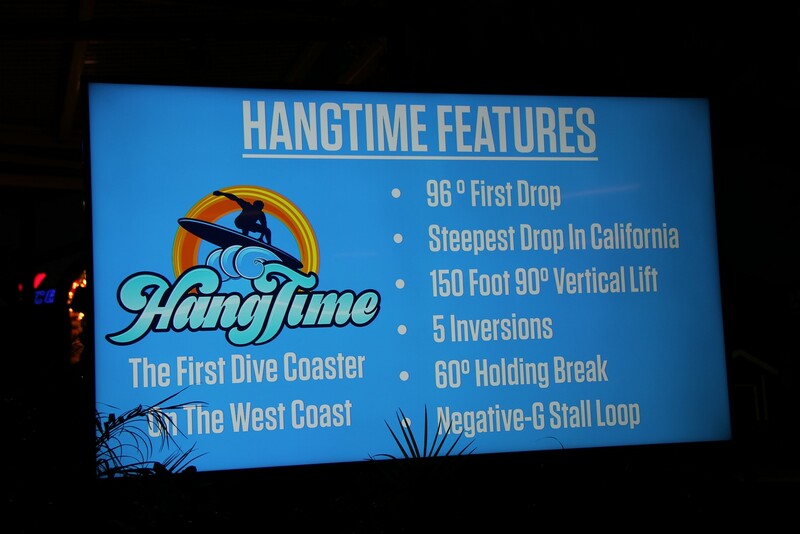 Knott’s Berry Farm has officially announced their 2018 ride HangTime. 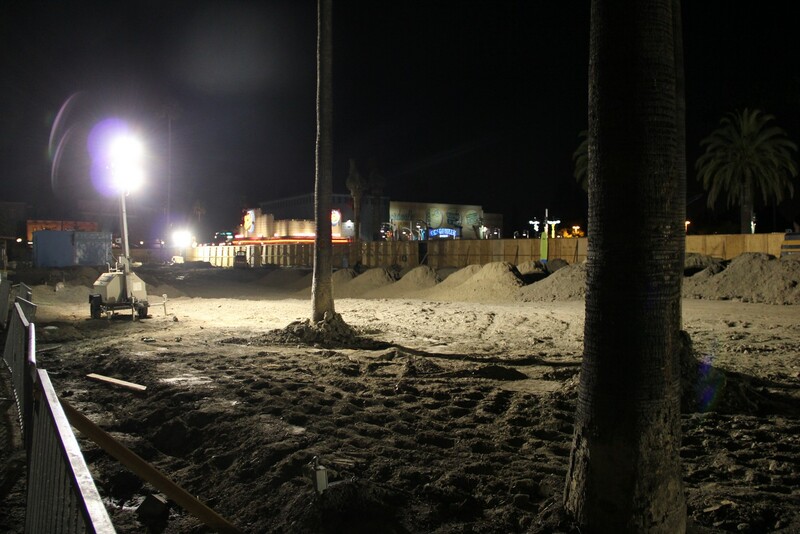 The new steel rollercoaster will be the only dive coaster on the west coast. Manufactured by Gertslauer Amusement Rides, HangTime will feature a 150-foot vertical drop that will send guests down the first drop at 96-degree angle. 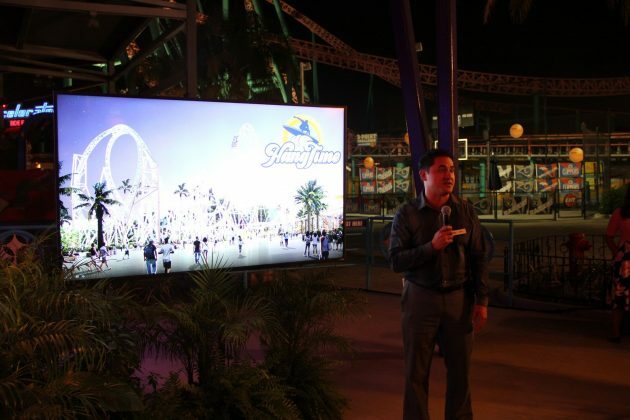 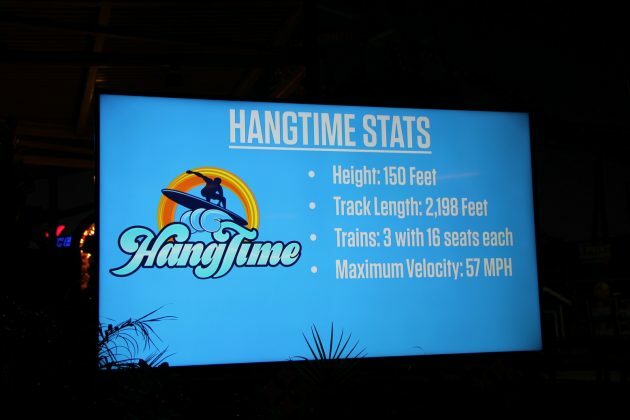 “HangTime’s disappearing track creates a memorable illusion of the unknown as riders feel like they are hanging over a cliff, staring at the ground in nervous anticipation,” said Jon Storbeck, vice president and general manager, Knott’s Berry Farm. 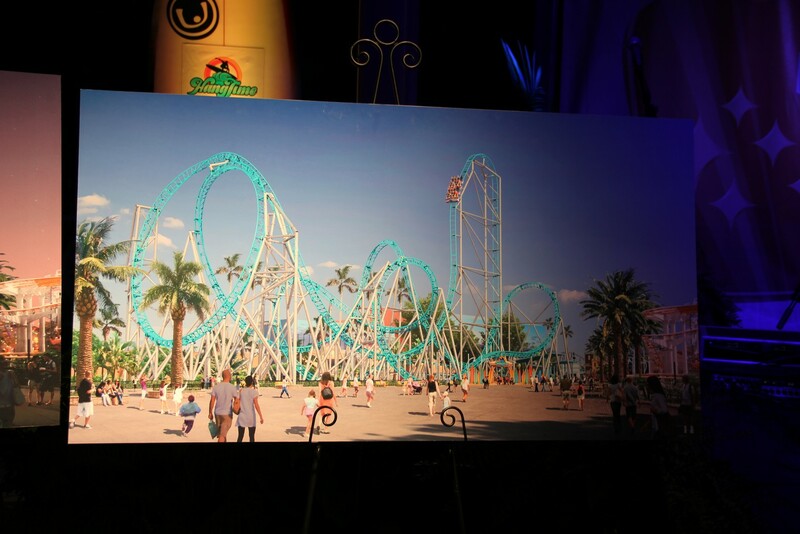 The ride will also feature three trains that will carry sixteen guests per train. 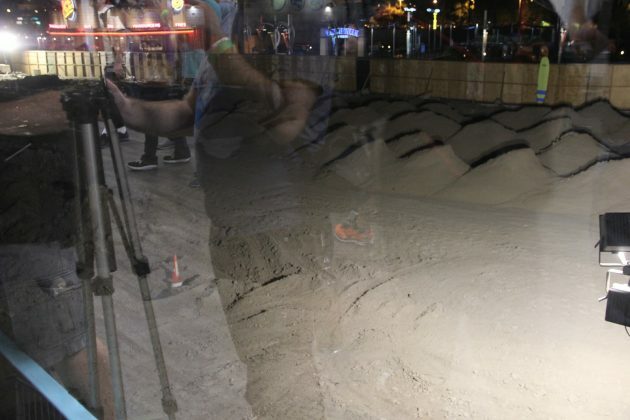 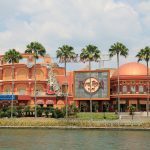 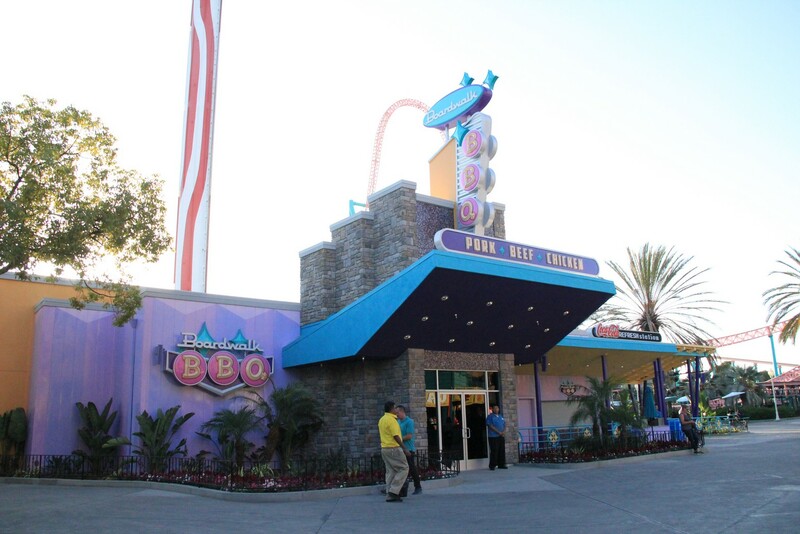 With a ride time of eighty seconds, this will allow an hourly capacity of 800 guests. 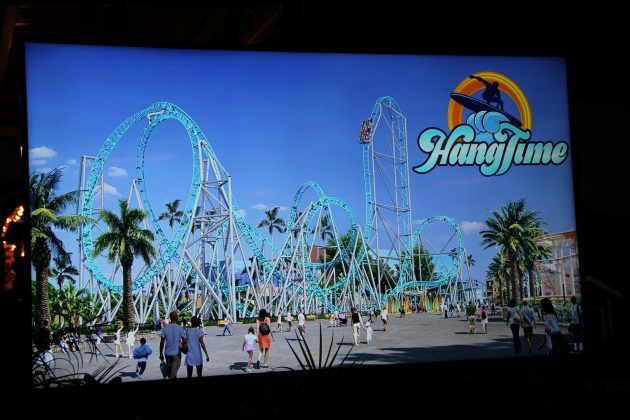 Another great feature of the coaster, is that guests will not have to worry about shoulder restraints as each car will only have a seat belt and t-bar lap restraint. 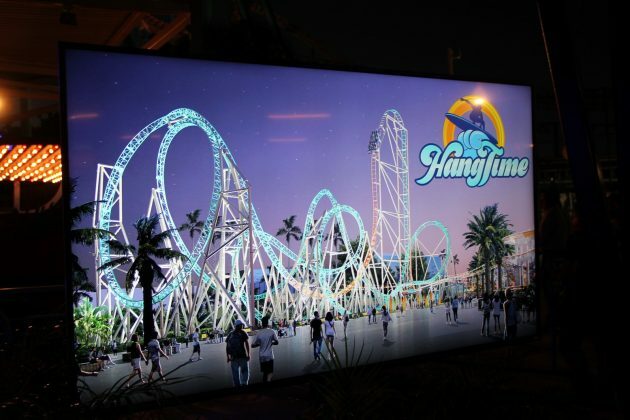 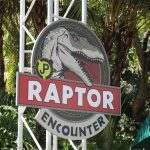 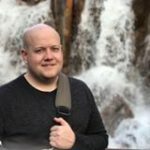 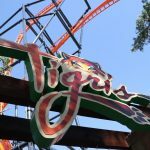 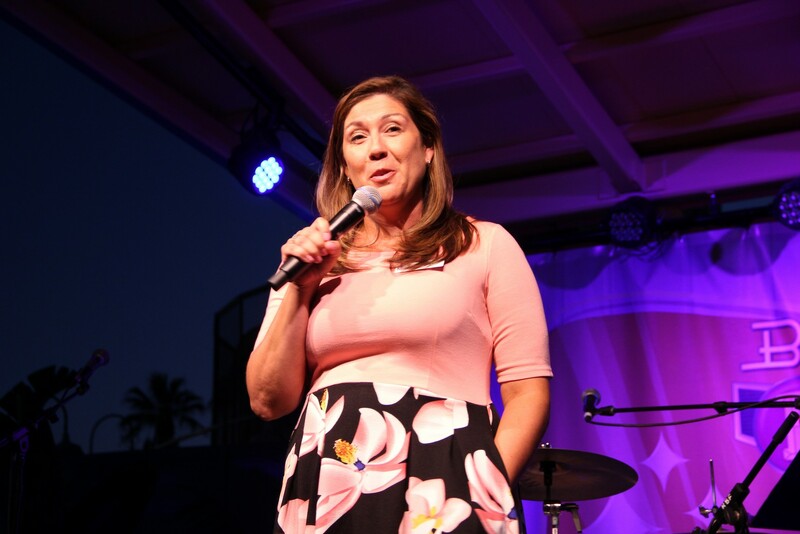 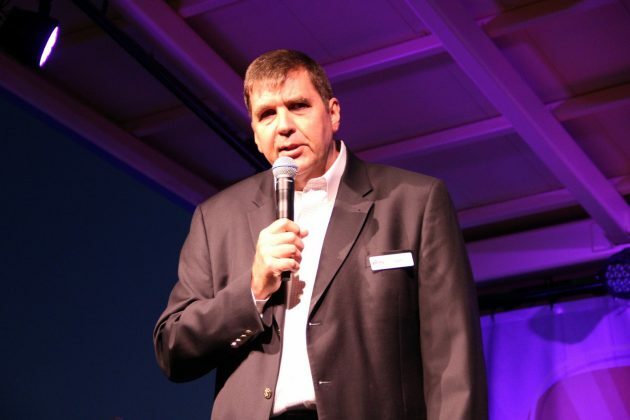 For the last several years, Knott’s focus has been to enhance the family element for the thriving park and will now switch their attention to the thrill seekers. 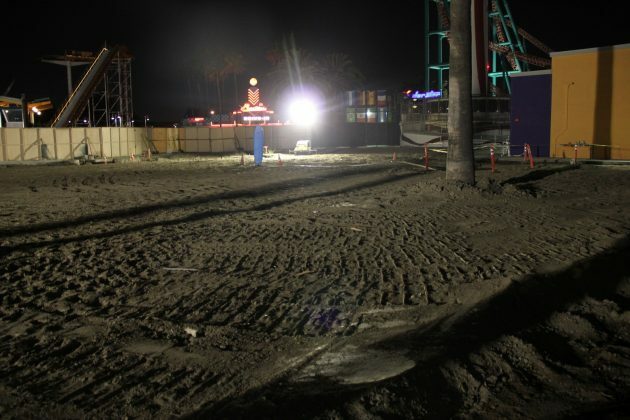 After the incredible response from guests regarding the 2016 refurbishment of GhostRider, Knott’s knew the timing was ripe to bring its first new coaster to the park since 2008s The Pony Express. 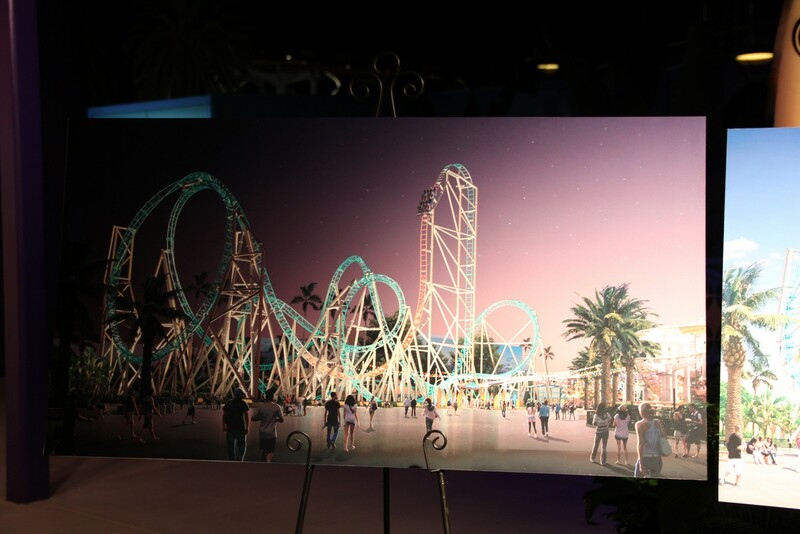 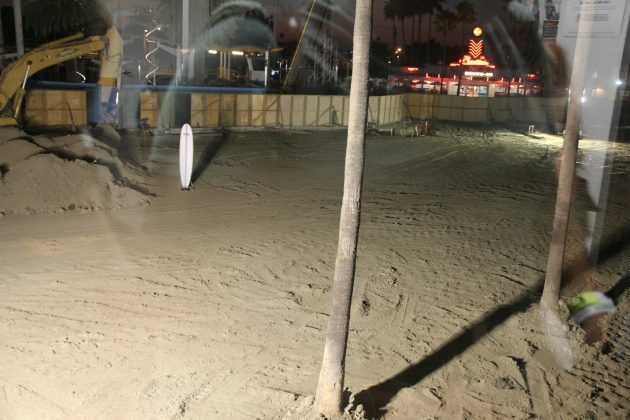 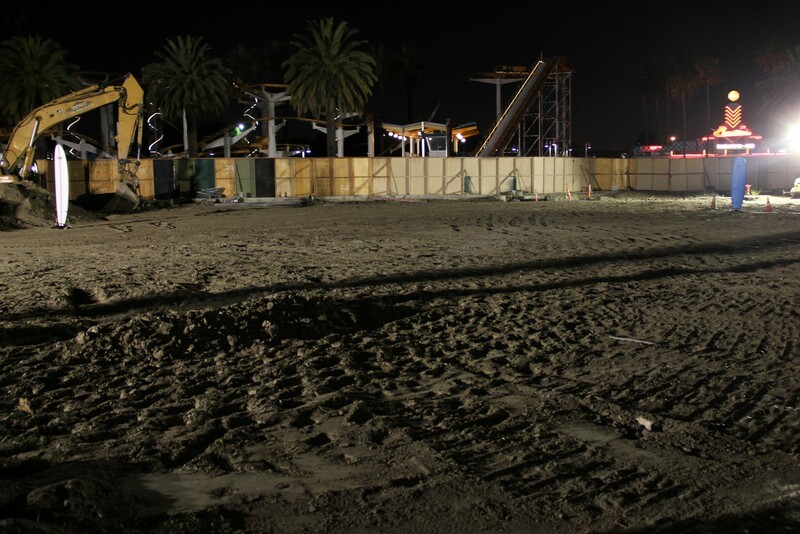 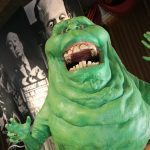 The ride will also feature different lighting designs depending upon the season whether it be Knott’s Scary Farm or Knott’s Merry Farm. 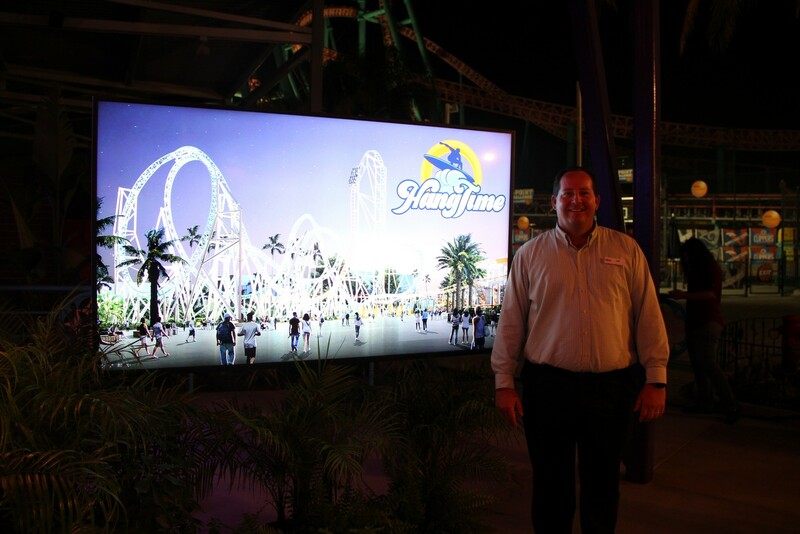 HangTime will debut in the summer of 2018. 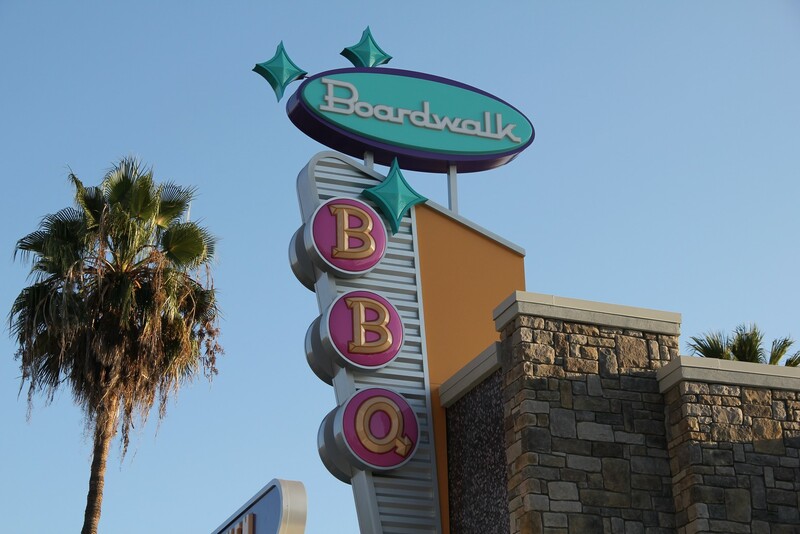 On top of the announcement of the new coaster, Knott’s Berry Farm also allowed us to partake in some of the food offerings served at the all-new Boardwalk BBQ. 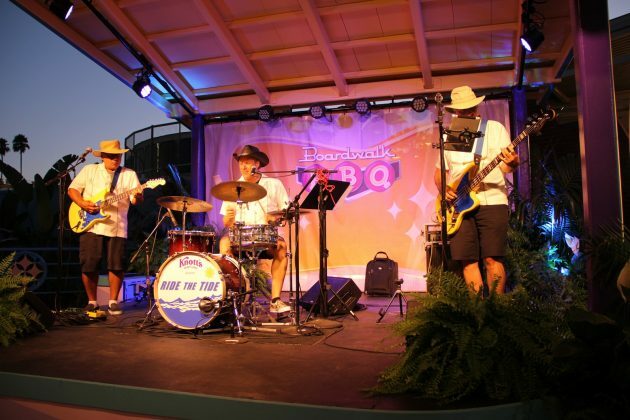 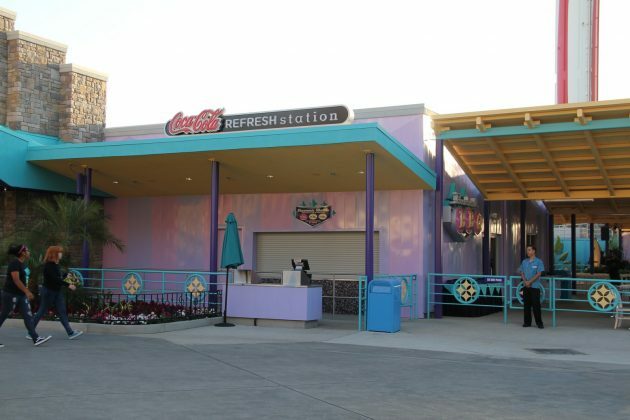 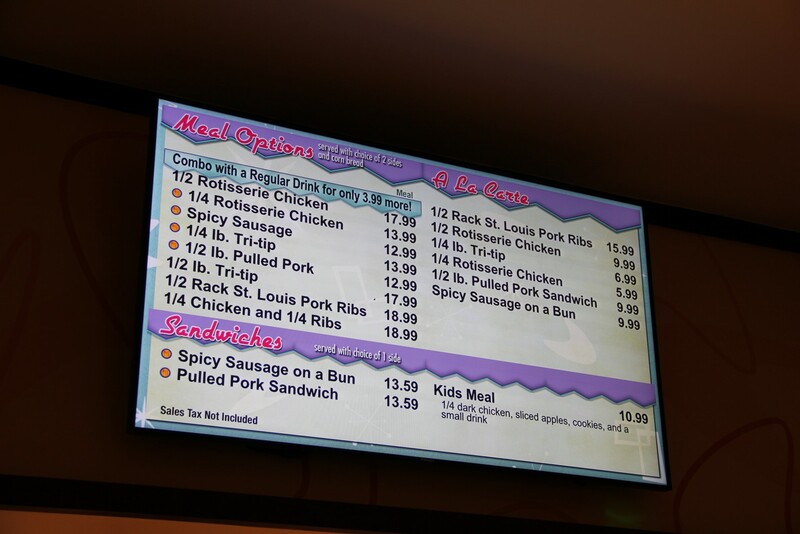 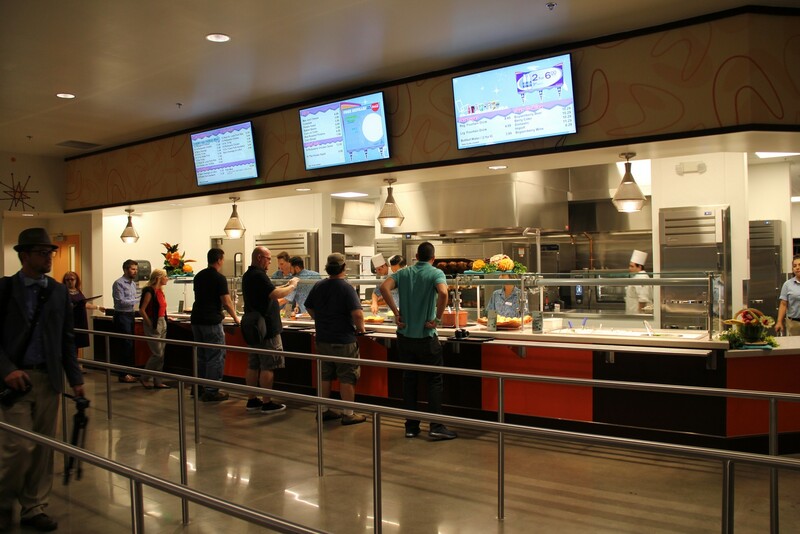 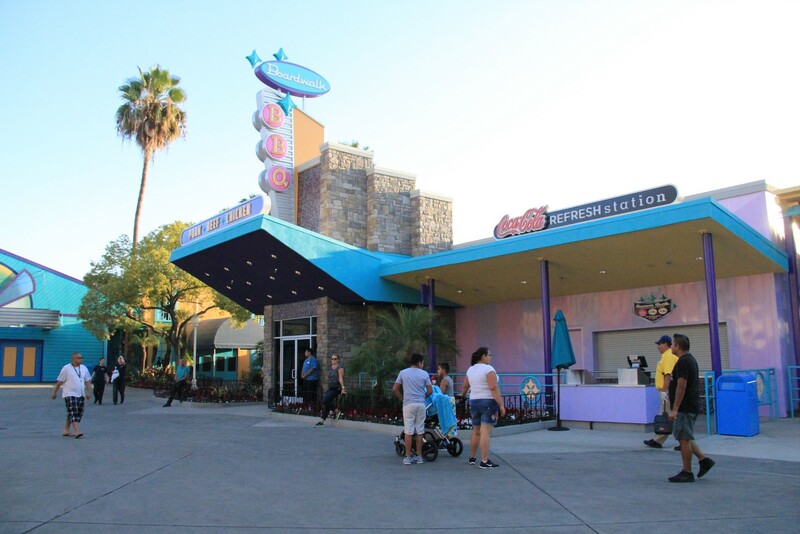 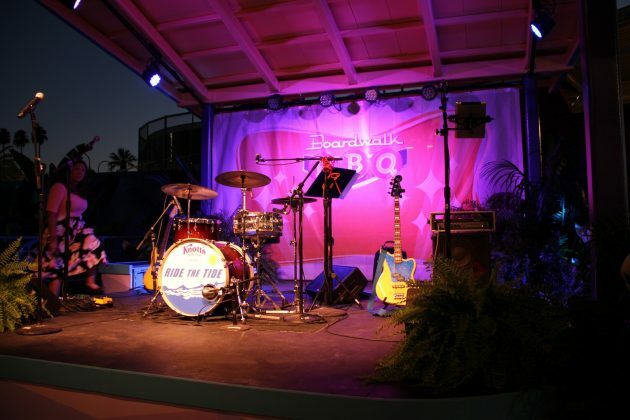 Guests will be able to order some of the best BBQ offered at any theme park. 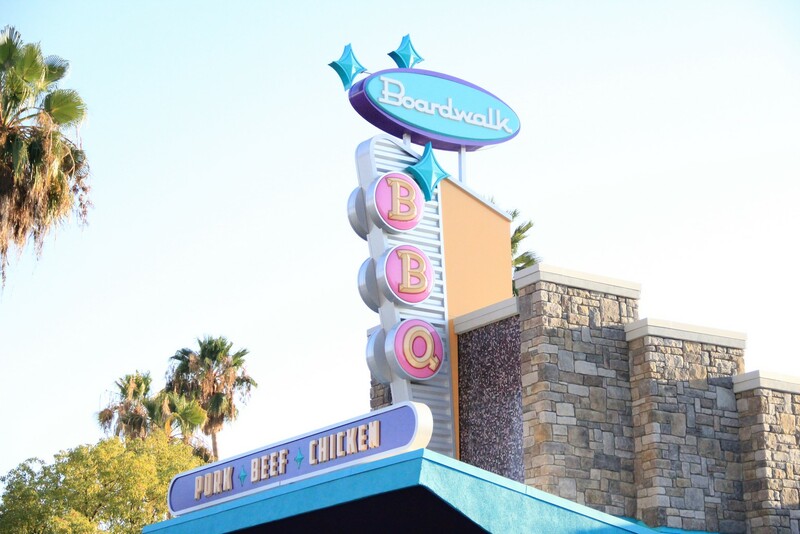 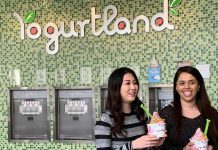 From rotisserie chicken to St. Louis pork ribs and some of the best pulled pork you’ll ever have, guests will have no problem finding something for everyone. 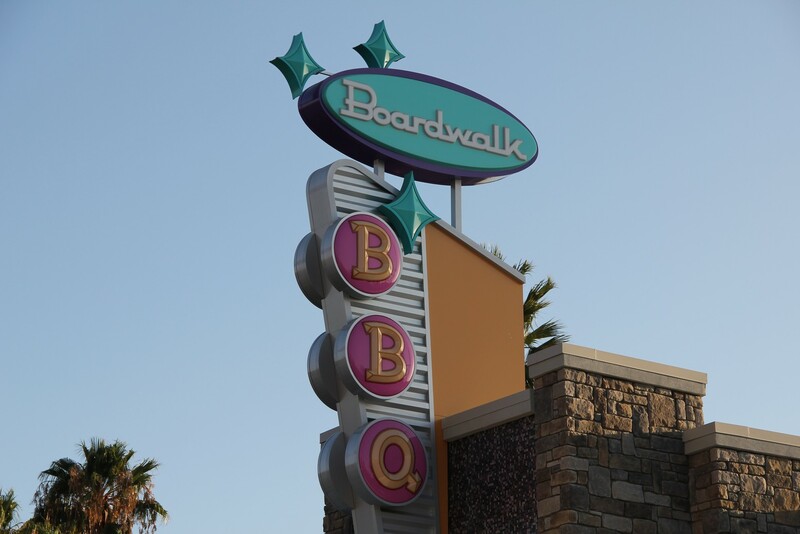 And for $99.00 you can purchase the all season dining pass and use it at the Boardwalk BBQ. 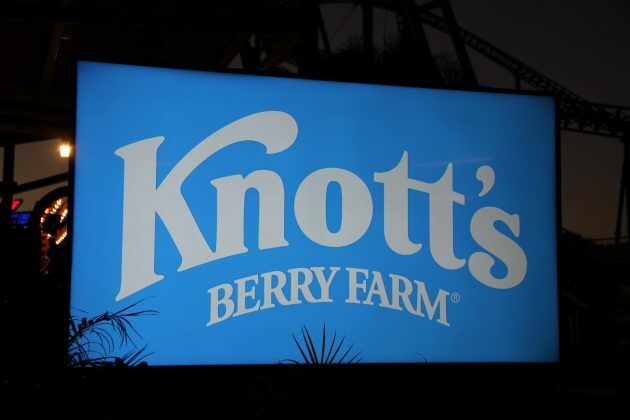 With both additions, Knott’s Berry Farm is looking to have an incredible 2018 and you will not want to miss out, so be sure to purchase your 2018 Knott’s Season Pass which is now available on Knotts.com. 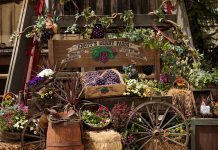 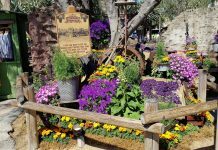 We would like to thank Knott’s Berry Farm for inviting us along with their wonderful and generous hospitality.